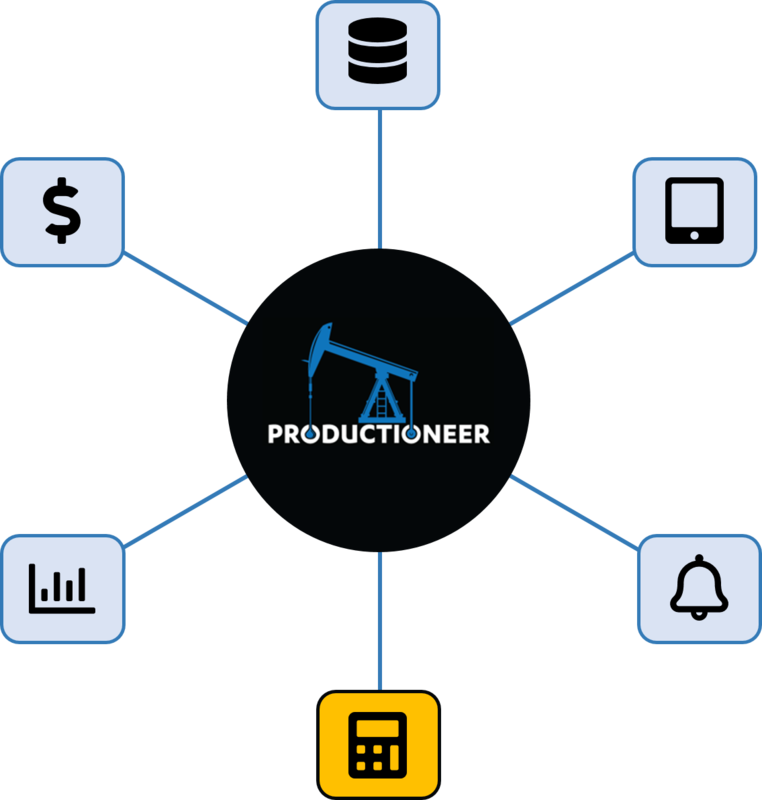 Our user-friendly data entry system ensures a cleaner presentation of more accurate data in your oil and gas production reports. 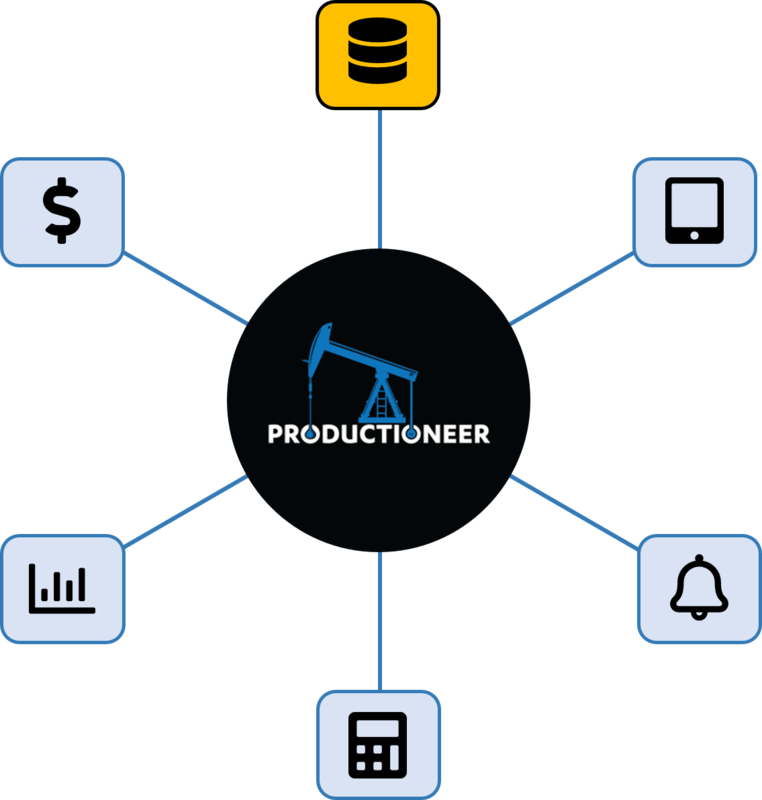 By simplifying the data entry process, you can free up pumpers to spend more time optimizing production. Enter data manually in one of the 3 available apps (Blue, ReDD or iOS) or let Productioneer collect it automatically from your SCADA systems. 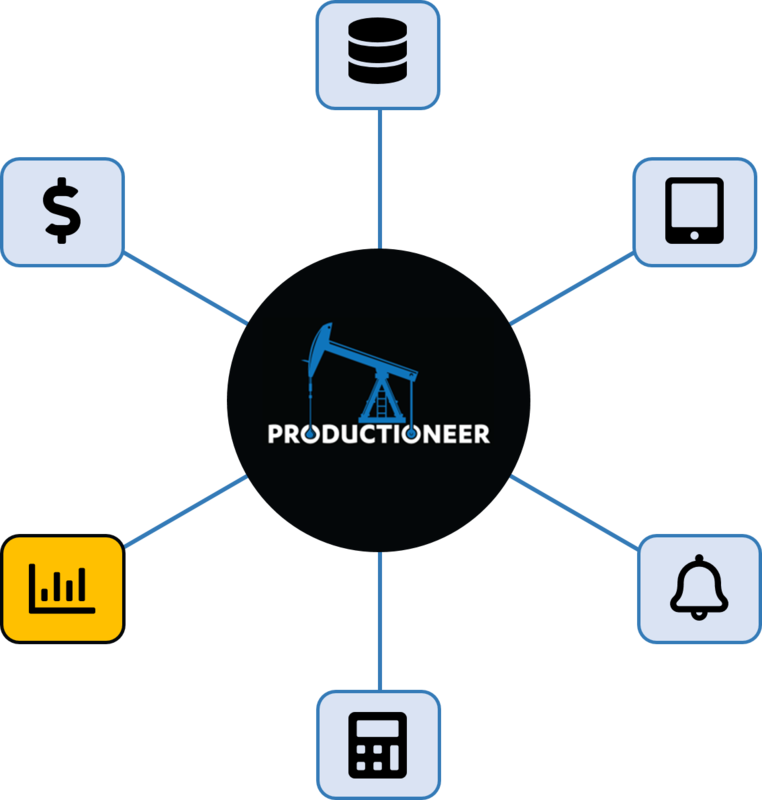 Productioneer is available in applications that work on Windows, iPhone, and iPad. Data entry can be performed from a desktop or mobile device. With our new web application, you can login and view your reports from anywhere on any device. Don't wait for changes and custom requests that take months to implement and have high fees attached. Business class software service comes standard with Productioneer. With constant access to the Productioneer team, custom solutions are available almost immediately. We strongly believe that the attention we pay to the needs of each of our clients sets us apart from the rest of the competition. Allocations that used to be time consuming are now only a few clicks away. Let our team custom build monthly allocation algorithms or use any of the existing templates that are available. 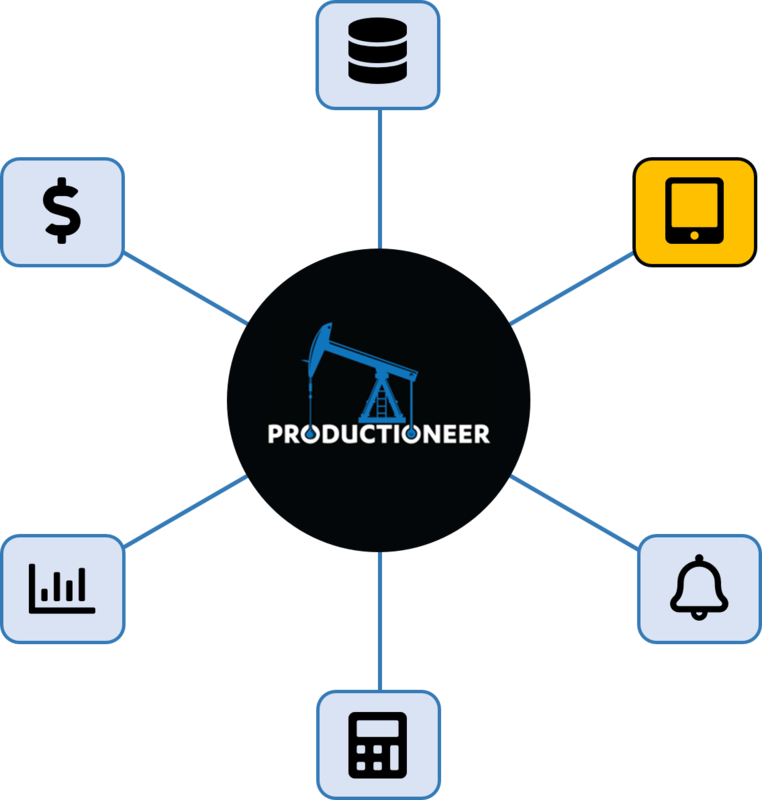 Productioneer ships with a variety of built-in oil production reports, regulatory reports, and allocation reports. Create your own reports or our team can work with you to build and customize the reports you need. Schedule reports to be sent to the production team, partners, and interest owners. 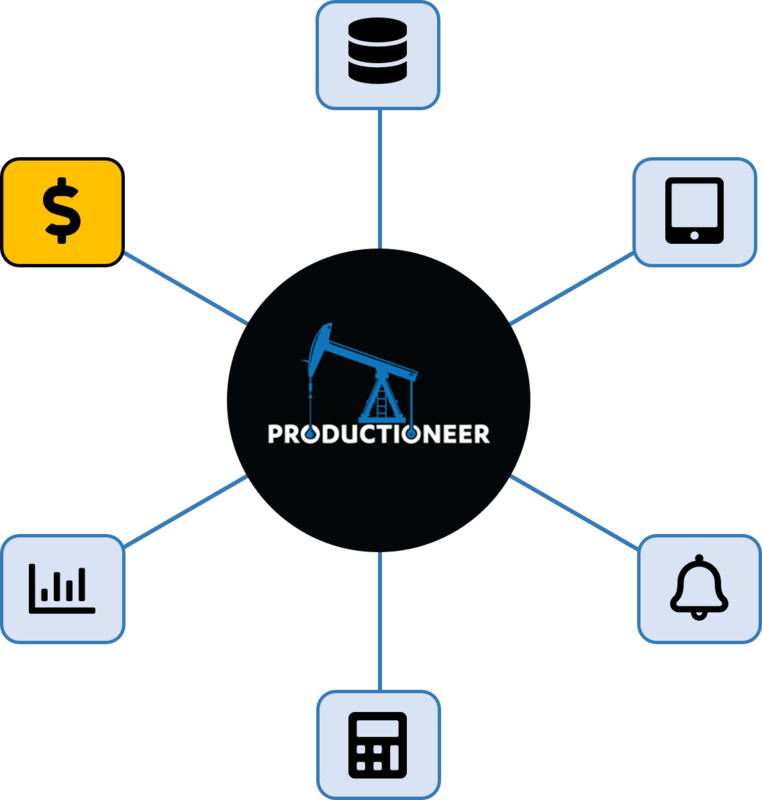 Use our Power BI dashboards to view your oil production data and perform instant analysis right from your desktop. Perfect for executives and management that want instant analysis. Productioneer's Expenditures module allows organizations to integrate daily data entry with their AFE process. Create AFEs in Productioneer, monitor their approval status, and track if the well work and daily operations costs are within their AFE budget. You can also integrate your accounting system with Productioneer to give you a total picture of your Actuals: AFE Estimates, Total Field Costs, Budgeted Amount, and Gross Value. With Productioneer there is no need for separate spreadsheets or applications. You already enter your daily production data in Productioneer, now you can enter your daily field costs in there as well. Contact us to test drive these and other features today!